For $50, musicians can partake in classes from 1-4 p.m. on Friday, September 16 at the Topeka Performing Arts Center with the option of performing in the evening. The cost includes one ticket to the evening concert. Cruz will provide a brief history of Mariachi music, instrumentation and attire before dividing the group into sectionals by interment, including armonia, trumpet, violin and vocal. Participants must register by Monday, Sept. 12 at http://www.brownpapertickets.com/event/2598240. A link to registration and the detailed schedule can be found at https://www.VisitTopeka.com/mariachi. Cruz leads Mariachi Internatcional de IAMA, a renowned Mariachi education program and serves as artistic director for Mariachi Corazón de San Antonio. 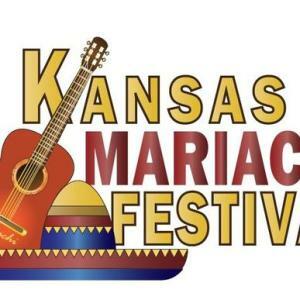 The group shares the Kansas Mariachi Festival stage at 6 p.m. Sept. 16 at the Topeka Performing Arts Center along with Mariachi Aguilas de America. Tickets are on sale now for $15. Between performances, Mana de Topeka will present its annual Latina Awards, recognizing outstanding community members. After the concert, a street party with live music and a Taste of Mexico beverage garden will be held outside TPAC. Admission is $20 for five beverage tickets, which can be shared among a group. In celebration of Hispanic Heritage Month, the Topeka City Council meeting on Tuesday, September 13 will include a Mariachi performance and official proclamation the month-long celebration of Hispanic heritage in Topeka.